I've had a little time to work on some new items, one being a cardinal ornament. Awhile back I had drawn sketches of a bird in a nest with Christmas lights and was able to finish it yesterday. 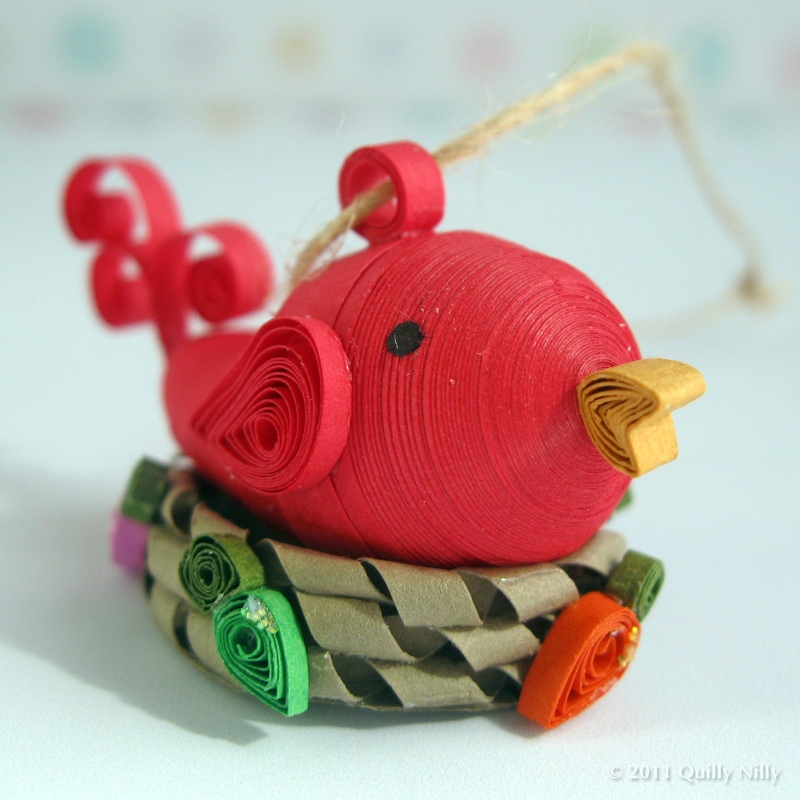 I've also thought I would create a blue bird in a nest and will most likely sell them as a set. This little cutie is about 1 1/2" long and 1" tall. Coming to my etsy shop soon. So sweet, I love it!!! very nicely done and great idea! 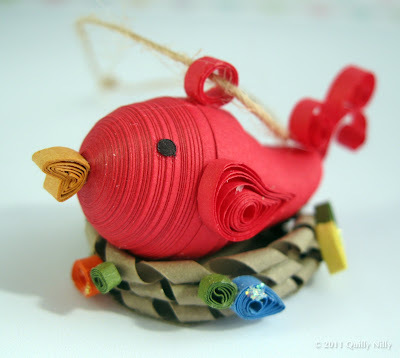 Oh, I love this wonderful project - the cardinal is my favorite bird! So creative! I have blog candy on my blog with a questionaire that I would love to have your input if you would like to visit. Wishing you a happy rest of the week!